I spent last Friday setting up two new Apple iMac Pros as editing workstations. When I started as an editor in the 1970s, it was the early days of computer-assisted video editing. 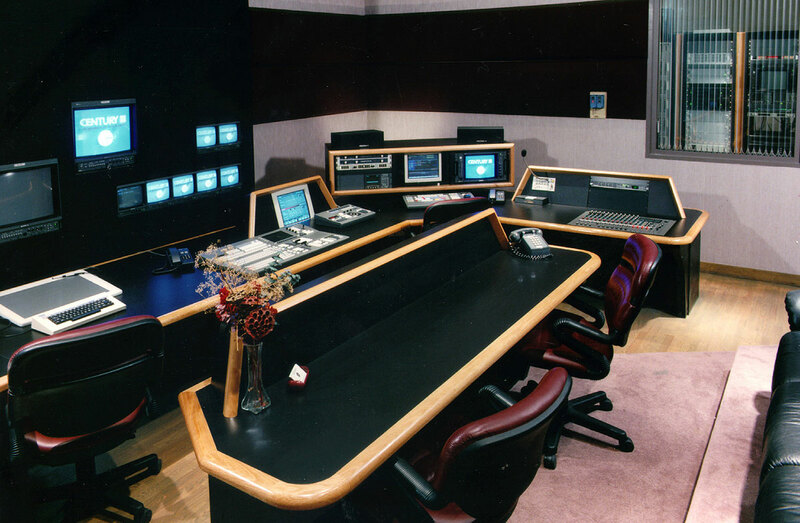 Edit suites (or bays) were intended for either “offline” editing with simple hardware, where creative cutting was the goal – or they were “online”, designed for finishing and used the most expensive gear. Sometimes the online bay would do double-duty for both creative and final post. The minimum investment for such a linear edit suite would include three 2” videotape recorders, a video switcher (vision mixer), edit controller, audio mixer, and a small camera for titles and artwork. Suites were designed with creature comforts, since clients would often spend days at a time supervising the edit session. Before smart phones and the internet, clients welcomed the chance to get out of the office and go to the edit. Outfitting one of these edit suites would start at several hundred thousand dollars. At my current edit gig, the company runs nine Mac workstations within a footprint that would have only supported three edit suites of the past, including a centralized machine room. Clients rarely come to supervise an edit, so the layout is more akin to the open office plan of a design studio. Editing can be self-contained on a Mac or PC and editors work in a more collegial, collaborative environment. There’s one “hero” room for when clients do decide to drop in. Phase 1 – Offline and online edit suites, primarily based on linear videotape technology. Phase 2 – Nonlinear editing took hold with the introduction of Avid, EMC, Media 100, and Lightworks. The resolution was too poor for finishing, but the systems were ideal for the creative process. VTR-based linear rooms still handled finishing. Phase 3 – As the quality improved, nonlinear systems could deliver finished masters. But camera acquisition and delivery was still centered on videotape. Nonlinear systems still had to be able to output to tape, which required specialized i/o hardware. Phase 4 (current) – Editing is completely based around the computer. Most general-purpose desktop and even laptop computers are capable of the whole gamut of post services without the need for specialized hardware. That has become optional. The full shift to Phase 4 came when file-based acquisition and delivery became the norm. This transition brought about a sea change in cost, workflow, facility design, and talent needs. It has been driven by technology, but also a number of socioeconomic factors. 1. Technology always advances. Computers get more powerful at a lower cost point. Moore’s Law and all that. Although our demands increase – SD, HD, 4K, 8K, and beyond – computers, so far, have not been outpaced. I can edit 4K today with an investment of under $10K, which was impossible in 1980, even with an investment of $500K or more. This cost reduction also applies to shared storage solutions (NAS and SAN systems). They are cheaper, easier to install, and more reliable than ever. Even the smallest production company can now afford to design editing around the collaboration of several editors and workstations. 2. The death of videotape came with the 2011 Tohoku earthquake and tsunami in Japan that disabled the Fukushima nuclear plant. A byproduct of this natural disaster was that it damaged the Sony videotape manufacturing plant, putting supplies of HDCAM-SR stock on indefinite backorder. This pointed to the vulnerability of videotape and hastened the acceptance of file-based delivery for masters by key networks and distributors. 3. Interactions with clients and human beings in general has changed – thanks to smartphones, personal computers, and the internet. While both good and bad, the result is a shift in our communication with clients. Most of the time, edit session review and approval is handled over internet services. Post your cut. Get feedback. Make your changes and post again. Repeat. Along with a smaller hardware footprint than in the past, this is one of the prime reasons that room designs have changed. You don’t need a big, comfortable edit suite designed for clients, if they aren’t going to come. A smaller room will do as long as your editors are happy and productive. Such a transition isn’t new. It’s been mirrored in the worlds of publishing, graphic design, and recording studios. Nevertheless, it is interesting to look back at how far things have come. Naturally, some will view this evolution as a threat and others as filled with opportunities And, of course, where it goes from here is anyone’s guess. All I know is that setting up two edit systems in a day would have been inconceivable in 1975! The hear a bit more about the changes and evolution of facilities, check out the Dec. 13th edition of the Digital Production Buzz. Click this link. This entry was posted in business, editing, facility design and tagged business, editing.